Ofelia began her career with Mackenzie in 2006 and after a few years away was happy to return in 2014. She has experience in both accounts receivable and accounts payable. 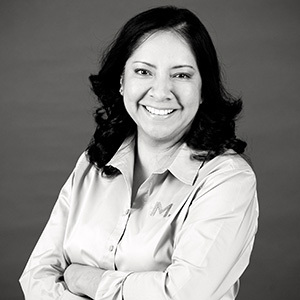 With a mind for numbers, Ofelia truly enjoys accounting and appreciates the attention to detail required by the job, as well as the friendly people she works with. She has attended multiple events put on by Mackenzie's Fun Committee, and looks forward to attending more. Sleeping at least eight hours a day. I love sleeping! I enjoy working with other people. I follow directions well and I am a workaholic. What inspires me the most are people with physical limitations that accomplish as much or more than a person with no physical limitations. I believe WE set our limitations.